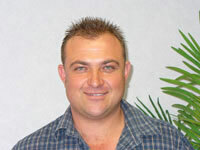 Jacques is one of the founding members of MRD and currently serves as Managing Director. He has 23 years experience in the industry with 6 years with AngloGold in both production and metallurgical development arenas and gained cross border experience as part of a team commissioning a large gold plant in Mali. 4 years with Grinaker – LTA contract operations and left as an Operations Manager having been responsible, from inception through to production, for the mining portfolio of a Heavy Minerals project in Richardsbay with a major client. 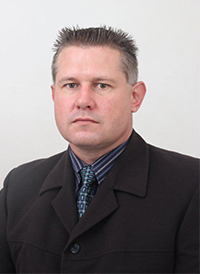 Through the strategic diversification of the business focussing on equity based development of numerous mining and energy projects within Africa, Jacques has also served as Managing Director of Zamanco Minerals Limited for 3 years which is listed on the ASX. Harry is one of the founding members of MRD and has over 23 years experience in the production and metallurgical development arena. 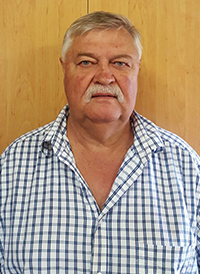 He has gained valuable experience in gold, platinum, diamonds, heavy minerals, dump reclamation, coal processing and vanadium on a development, design and construction basis. Harry is tasked in MRD to ensure that we provide our clients with innovative and cost effective solutions that stand out from the rest in the industry. Harry was instrumental in the development of Kangala Colliery for Universal Coal, which was completed on time and on budget as well as achieving record production figures within the first year of operation. He is an asset to MRD and our clients through his tenacious and “nothing is impossible” attitude. After matriculating at Kuschke High School in 1976, he went for military training. George joined DB Thermal as an apprentice in 1980. George qualified as a coded welder (TUV Approval T7) in 1981. He has 34 year’s experience in the Mining, Petrochemical, Power Generation and Construction Industry. He was promoted in 1983 as a Mechanical Foreman and in 1984 to a Senior Foreman and in 1986 as a Site Manager. He was then leading the Company Occupational Risk department as part of his responsibilities reporting to the CEO. George was then promoted to Head Office as a Project Manager in 1989 responsible for Engineering Projects on Power Generation Plants, Refineries and Mining Engineering Projects. George has extensive experience in Design, Fabrication and Erection of projects and he successfully completed a project for Stone and Webster an American based company on Sasol 1 as a Site Manger in a world record time of eight weeks which included the demolition of a complete Ethylene Heater of 270 t in 5 days including radiant and convection sections. Installed a new high tech design, high pressure super-efficient radiant and convection coils, 48 USX heat exchangers and reconfigured high temperature piping, incorporating 200 constant effort & variable load supports and modifications to steelwork. Civils, Control and Instrumentation, Electrical, Refractory’s was part of his responsibilities. This project was executed in time and in budget. George then started his own company in 1995 and specialized in mobile crushing and screening plants, mobile beneficiation plants and successfully completed projects in the De Beers, BHP Billiton, Anglo Coal and Eskom. 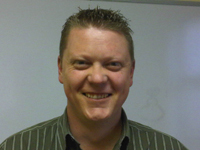 Japie attained his BCompt degree and SAICA articles Japie joined MRD in June 2010.